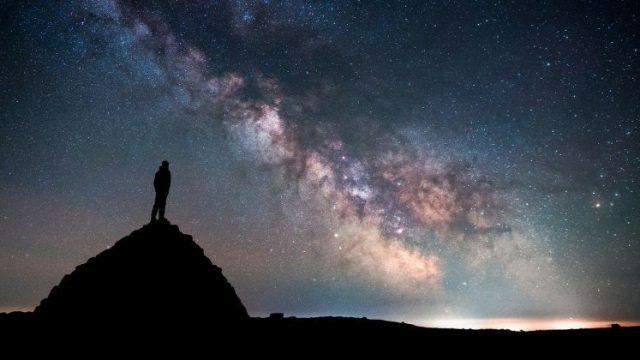 When Sydney woman Marnie Ogg recently won the International Dark Sky Defender Award, she became one of only five people around the world – and the very first Australian – to be recognised for her work in preserving the night sky. Preserve the night sky from what, you may ask. Well, it’s all about light pollution, an underrated scourge of the modern era. According to the International Dark Sky Association darksky.org, as more and more artificial lights overpower the darkness, most of us live in light-polluted skies so we’re unable see the night sky as it truly is. When you’re away from city lights the night sky is breathtakingly beautiful – it’s a source of wonder, a balm for troubled souls, an inspiration for artists, writers and composers, a playground for stargazers. And of course the night sky is the workplace of astronomers, whose ongoing research not only expands our knowledge of the universe and thus ourselves, but whose day-to-day work plays a critical role in the development of technology, in navigation, interpreting weather patterns and so much more. As well, reduced light pollution helps to preserve wildlife habitats, especially those of nocturnal creatures. According to Jeffrey Kluger, artificial lighting around waterways attracts insects, which are then eaten by predators. This might sound negligible, but it has seriously damaging repercussions on ecosystems. Migrating birds can lose their way as artificial light interferes with the natural starlight. The same happens to sea turtles as hatchlings move towards the light rather than the sea, making themselves easy targets for predators. And so it goes. Scientists hold deep concerns at the level of bird, insect and animal fatalities resulting from the skyglow of cities. Dark Sky parks attract visitors keen to enjoy the glory of clear starry nights. They are specifically protected for their “scientific, natural, educational and cultural heritage, and/or public enjoyment”. As our first International Dark Sky Defender, Marnie Ogg continues to work with scientific, industry and community experts to help raise awareness of light pollution and how to combat it. She’s already played a big role in the growing desire for councils and communities to learn more about preserving this important natural resource, part of our society, part of our world, part of our universe. More power to her!